Nothing says fall like the fresh fruits and vegetables that are in season this time of year. 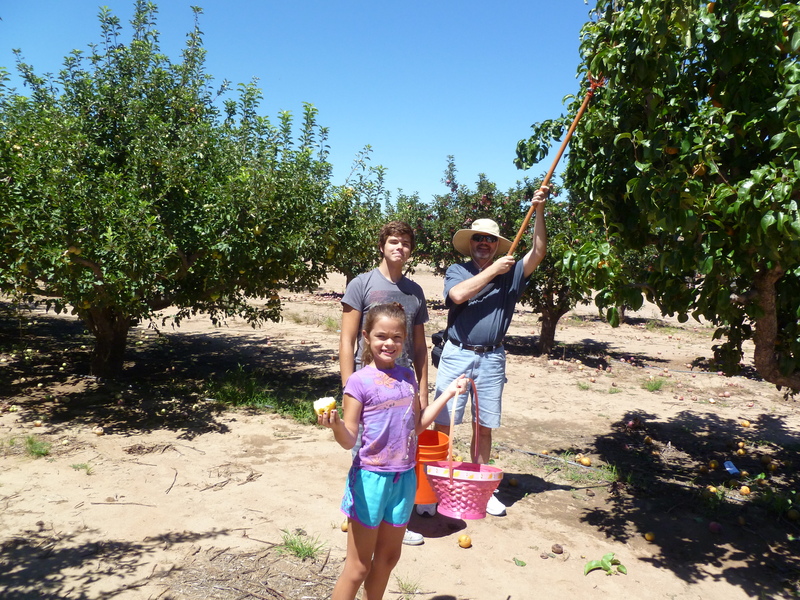 A few weeks ago, Chuck and I took the kids to an apple orchard in Wilcox for a day of fun picking fresh fruit. 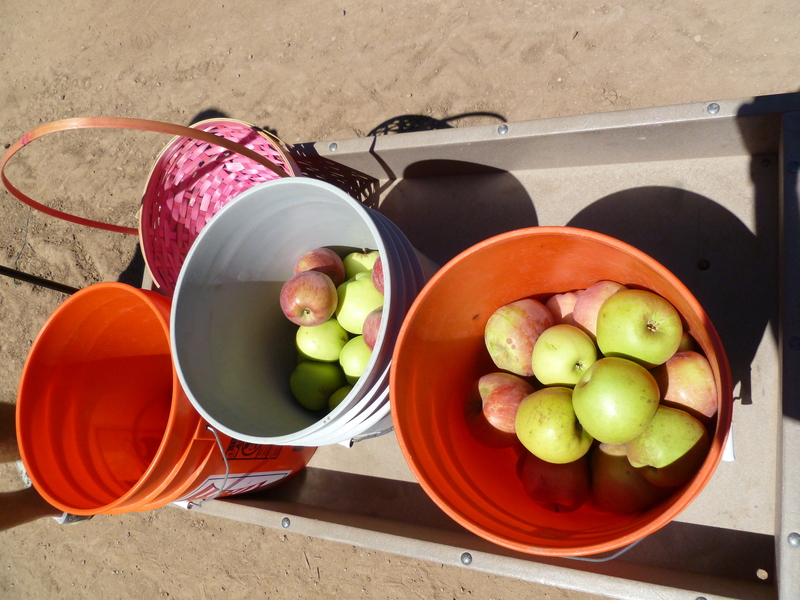 After our adventure, we had plenty of apples on hand, which meant plenty of recipes to try. I decided to incorporate the fresh apples into a pasta dish I created, Pasta Trentino. This is basically an apple-tomato ragu sauce. Its is so delicious and easy to prepare. Originally it was a recipe for a tomato apple- soup, and it is so hearty that I thought, ‘Why not make this soup into a sauce?’ and serve over pasta. I named the finished product Pasta Trentino, after the Trentino region of Italy known for their wonderful apple orchards. Cook pasta according to pkg directions, drain and set aside. Heat the olive oil in a large sauce pan and saute celery, shallots, garlic and apples over medium heat until apples are soft and cooked. This should take about 15 minutes, and stir frequently to prevent garlic and shallots from burning. Season with salt and pepper to taste. Add tomato paste and crushed tomatoes, stir and add 3/4 cup water. Use a hand blender to smooth the sauce, add Romano cheese, fennel seeds and dried basil. Let it cook until bubbly. If you don’t have a hand blender, turn off the heat and blend sauce in a regular blender, moving sauce back to pan once smoothed, turn heat back on add the dry spices and Romano cheese. Let it cook until bubbly. Turn heat to low and add pasta, folding gently with the sauce. Leave low heat. 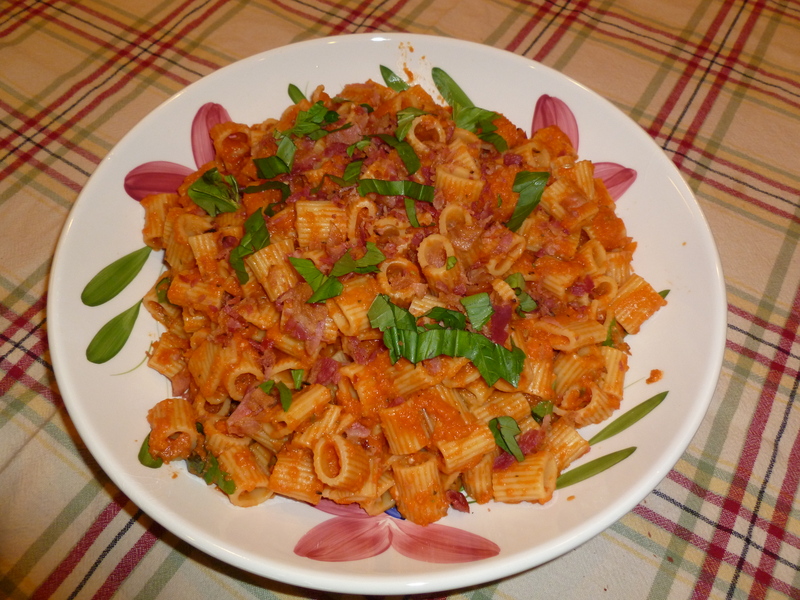 Arrange pasta in a large pasta bowl, garnish with fresh basil and prosciutto crumbles. Serve with your favorite salad and a good wine. Buon Appetito! * Prosciutto is Italian bacon it is not smoked, you may use regular bacon or even turkey bacon instead. The kitchen is american, for sure. But the feeling and charm are brazilians, definitely! With love to my Lulu!